Is the Bible relevant to our lives today? Can it give us priceless, practical help and real hope? We believe it can! Some claim that the Bible is merely a collection of Hebrew religious mythology and essays. Is that true, or is it in reality our Maker’s instruction book on how we should conduct our lives? Can it help us find the purpose of life? Have you ever wondered, why study the Bible? Will the Bible soon be forgotten? Is this merely an isolated incident, or is it evidence of a growing trend in Western society that regards the Bible merely as a book of folklore that has no relevance to our daily lives? Why is there so much confusion about the book that is still the world’s best seller? Even the hundreds of different church denominations find it difficult to agree to what extent the Bible has authority in our lives and if it is divinely inspired and the Creator’s Word in print. So we ask: Why study the Bible? 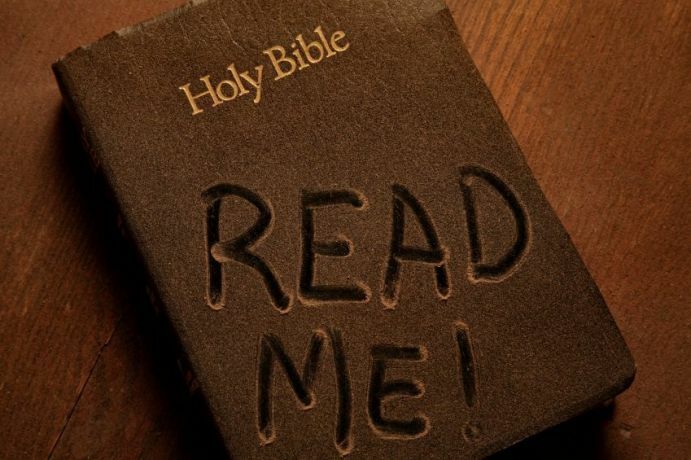 Despite many efforts throughout the ages to destroy it, the Bible has withstood the test of time. For instance, in the year 303 during the rule of the Roman Empire, Emperor Diocletian launched a vicious attack in an attempt to destroy Christianity. He issued a decree that all sacred books, including the Bible, be burnt. But despite these and other attempts, the Bible has survived throughout the ages, right down to our time. The way to a happy and abundant life is clearly and concisely outlined in the pages of the Bible. And this book that has been miraculously preserved over the centuries also refers to current world events and what the future holds for mankind. World governments have failed to bring peace to this world, but the Bible spells out how real and lasting peace will ultimately be achieved. No, this book is not a dull and boring assortment of human ideology and ideas. It is a living manual provided for us by a loving and caring God who created us for a great and wonderful purpose. This book provides real solutions to the challenges we face on a daily basis. It gives answers that science and its experiments cannot produce, such as the purpose for man’s existence and why we are on the earth in the first place. As we study His words, we will come to see that He is not a harsh, stern and unloving God, but rather that He wants us to be happy and live a joy-filled life. However, He wants us to study His Word in order to find out how this abundant life can be achieved. As our Creator, He, and only He, knows the right way that leads to our overall well-being. One of the most famous poems of the Bible says, “Your word is a lamp to my feet and a light to my path” (Psalm 119:105). Yes, the Bible is a light guiding us in the way we should walk in a darkened world. But why study the Bible in the first place? Humanity is not a result of blind chance. We are not a product of Darwinian evolution, an unproved theory that so many hold as their belief system. God’s Word, the Bible, states that mankind was created for a very special purpose. Our ultimate destiny is outlined in the pages of your Bible, and it gives the reason we were born. If you really want to know and understand what that purpose is, then you need to earnestly study the Bible—the book that makes it plain. Man was created differently from the animal kingdom. Humans were created with a mind that can reason and make judgments and decisions. Humans are unlike any other created creature on the face of the earth. We can calculate complex mathematical formulas and construct huge and imposing structures. Why this difference? In the first book of the Bible God said, “Let Us make man in Our image, according to Our likeness” (Genesis 1:26). This was not said of any of the other animals, placing man in a special category. As Job said: “If a man dies, shall he live again? All the days of my hard service I will wait, till my change comes. You shall call, and I will answer You; You shall desire the work of Your hands” (Job 14:14-15). Job understood that death is not final, but that in some future time he would be in the presence of his Creator. “For I know that my Redeemer lives, and He shall stand at last [in the latter day] on the earth; and after my skin is destroyed, this I know, that in [footnote, “apart from”] my flesh I shall see God” (Job 19:25-26). The apostle Paul also referred to this “change” in 1 Corinthians 15:51: “Behold, I tell you a mystery: We shall not all sleep [die], but we shall all be changed” (emphasis added). He was clearly referring to the resurrection of the dead and the transformation of living Christians at Christ’s return (verses 53-54). Why study the Bible? It’s a priceless investment in your future. Unless you are willing to set aside time to study your Bible, you may never come to a deeper understanding of the reason you were born. Surely we should be willing to take some time out of our daily lives and devote it to the study of the book that tells us why we exist and what the future holds for each of us. Our sincere and earnest desire is to see you hold onto that hope, with steadfastness and endurance. May God richly bless you as you decide to open the pages of the Bible, and partake of the words that were written under the inspiration of God (2 Timothy 3:16). The articles on this website are designed to help you in your studies. Contact us if we can assist you in any way.